Swimia.com has the most up-to-date database on the internet about nearly any Guatemala Swimming Pool. Classified by countries, regions and cities, it truly is easy to find the nearest pool at the places you visit. For Guatemala, you may have a look at the pools we have gathered for you. We probably don't know all the Pools in Guatemala. Are you missing any? Contact us!. The perfect Guatemala Pools are located primarily in large cities, but it's also effortless to find public pools in rural areas. Swimming is a sport for all ages. It helps young people today to tone their muscles and grow healthy and strong. For the elderly, there's no better technique to exercise than finding a Guatemala Swimming Pool to escape from every day routine. Before trying any pool, make sure you know the rules and regulations for Guatemala Pools as they may not be the same as inside your home town. We recommend you contact the pool directly to ask if you ever will need a hat, and what style of footwear or certain clothing you will need. Are you on holiday and want to keep fit and healthy? 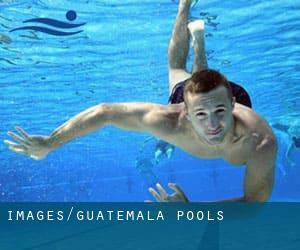 Swimia.com delivers you the quick and quickest way to come across Aquagym in Guatemala near your present location. One of the benefits of outdoor swimming in Guatemala is the possibility to sunbathe during the summer season. Taking it with extra care, sunbathing is healthful since introduces Vitamin D into the body, so the best selection seems to be switching between indoor and outdoor pools based on the season. Whereas Petapa is one of the six most populous cities in Guatemala with almost 141.455 residents, you shouldn't miss that one if you're going to Guatemala. Without a shadow of a doubt, swimming in Villa Nueva could be the very best option to unwind immediately after work. Take a couple of minutes to browse Swimia's catalog to find a Swimming Pool in Villa Nueva. Holding an estimated population of 473.080, Mixco is one of the most important cities in Guatemala. Check all the Swimming Pool in Mixco and its surrounding region. Swimming is really a wonderful idea to keep your body active throughout your visit to Guatemala City (Guatemala), or even for anyone who is a local. Swimia assists you to find your closest Pool in Guatemala City. 10 avenida , Zona 4 , Guatemala City (Postal Code: 01005). Among all the activities offered by the center, for anybody who is interested in swimming you might appreciate Olympic size, Outdoors. Just in case you would like to make contact with this Pool before dropping by, we only know the phone number.